hd00:21Flood in Paris. June 2016. France. High water on a river Seine. Water covered the quay. hd00:33PARIS, FRANCE - JUNE 25: View of the Eiffel tower view point of River on June 25 2016 in Paris, France. The Eiffel Tower with big football symbol of euro football. 4k00:10PARIS, FRANCE, View of the Seine River with cruise tour boats. 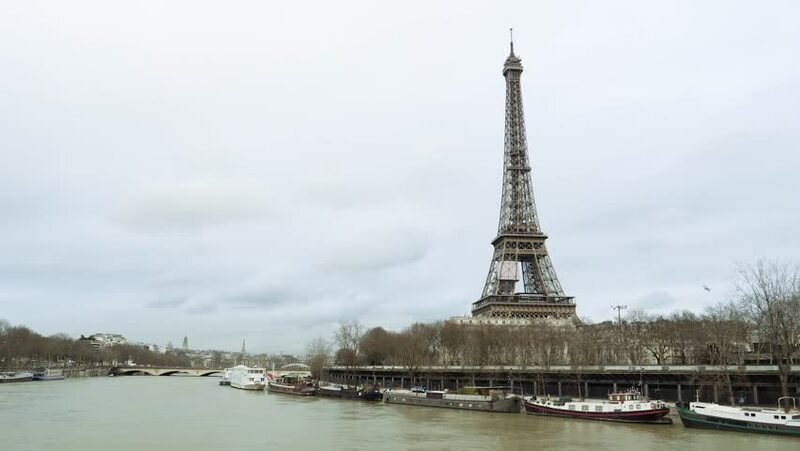 In Paris there are several boat tourist trips across the Seine to show tourists the sights of interest.